When it comes to arranging the best car hire Zagreb Airport at Best Car Hire we compare the car hire market at Zagreb Airport and the rest of Croatia to bring you the dest deals and discounts available. By booking your car hire in advance of your flight this will guarantee the best car hire to suit your business or holiday needs. To ensure your arranging the best car hire Zagreb Airport is trouble free, our multi-lingual team of customer care agents at Best Car Hire are on hand 24 hours a day, 7 days a week to assist if you should require assistance with your car hire. Book directly with the major car hire companies at Zagreb Airport including Hertz, Avis, Enterprise, Budget, Alamo, Dollar Sixt and many more. Franjo Tuđman Airport is also known as Zagreb Airport, and is the largest and busiest international airport in Croatia. Croatia is a country with fantastic mountainous landscapes and memorable deep blue seascapes. With the increase in global tourism, Croatia is now becoming easier to visit than it had been in the past. There have been many infrastructure improvements in recent years with the motorway network being rapidly extended and modernised, to make your car rental driving experience more enjoyable. Additionally, many of the tourist hotels have been renovated and given a fresh look with slick contemporary designs - because of the increase in airlines flying to Croatia, holiday travel has recently become a lot easier. Tourism is now a major industry but also has a long history. For example, the Dalmatian Islands contain evidence of Roman summer villas. 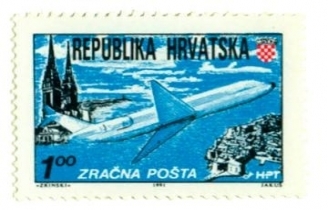 But it was during the Yugoslav era that it was first developed for tourism on a large scale, when large modern resort hotels, equipped with modern, excellent sports and recreation facilities, were built along the Croatian coast. Sports were then, and to this day, tremendously important and a major part of Croatian holiday packages. The historical building at Lotrscak Tower is well worth a visit but watch out and listen for the cannon being fired at 12 noon each day, to commemorate the historical successful defence of the city from the Turks in the thirteenth century. Trg Bana Jelacica is the central square in the middle of Zagreb and is a popular meeting spot with tourists and residents of Zagreb. You should also visit the Dolac Market also affectionately known as the belly of Zagreb - try a taste of the local delicacy paprenjak. 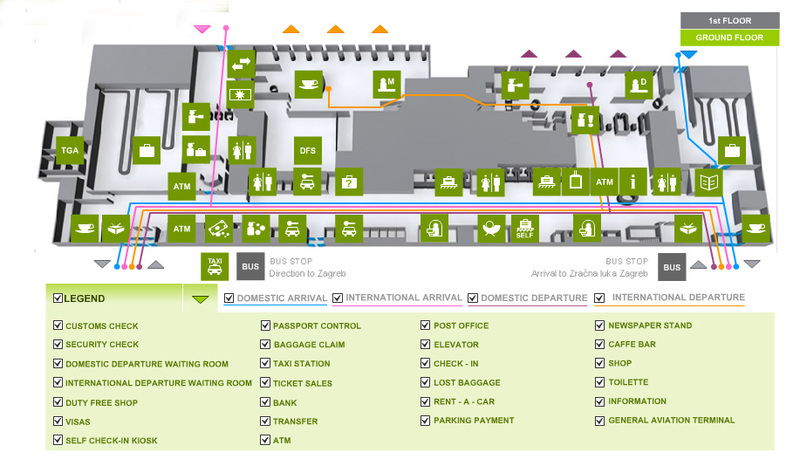 Please click for flight information on Zagreb Airport arrivals, departures and delays.